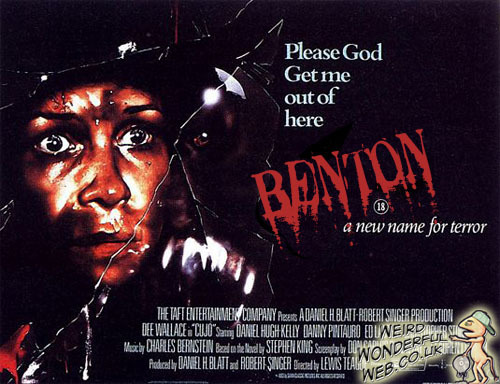 Weird Wonderful Web: BENTON the Richmond Park terrorizer! BENTON the Richmond Park terrorizer! There's a new name for terror: Benton the Richmond Park terrorizer. If you haven't yet heard of Benton the runaway Labrador, then you must have missed the YouTube video 'JESUS CHRIST IN RICHMOND PARK. Captured on a phone was a poor panicking dog owner trying fruitlessly to catch his dog once it chased after a herd of wild deer in Richmond Park, London. This video was brought to a lot people's attention by ThePoke.co.uk and was trending in no time on Twitter. Many have started to remix the video, including ThePoke themselves who were very quick off the mark with their brilliant 'Benton in London' remix. Amazing mini sculptures of babies! Harry Potter three-headed dog costume!